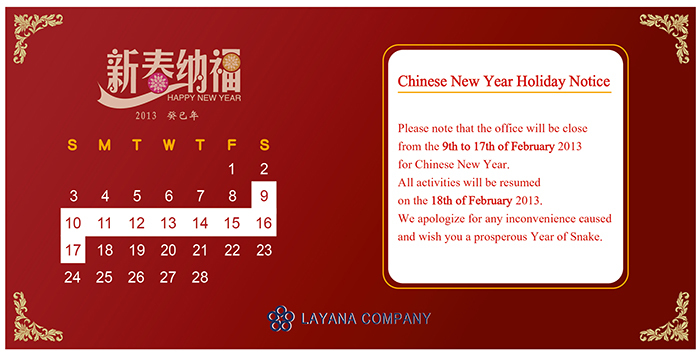 Layana Company will be closed from the 9th to 17th of February 2013 for Chinese New Year. All activities will be resumed on the 18th of February 2013. We apologize for any inconvenience caused and wish you a prosperous Year of Snake.